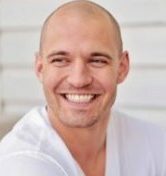 Q: Your site is obviously helpful as a resource for vegans travelling around the globe, what has running it taught you about the global vegan community? The Nomadic Vegan has connected me with all kinds of different people from the global vegan community and has shown me that vegans can be found in every corner of the globe. It’s also made me realize just how helpful and welcoming our community is. Most vegans are more than happy to share their time and knowledge with other vegans and with anyone who is interested in learning more about veganism. All you have to do is ask! Q: What can vegan travellers, or aspiring travellers, learn from spending time on your website? If visitors to The Nomadic Vegan learn only one thing, I hope it’s that vegan travel is much easier than they think! When I was first considering becoming vegan, I was worried that it would ruin travel. In reality, the opposite has been true. I enjoy travel even more now than I did in my pre-vegan days! While I do provide a lot of tips and recommendations for travel to specific destinations, the main message I want to spread through The Nomadic Vegan is that it’s possible to be vegan anywhere. Q: What’s the most vegan-friendly place you’ve visited, and why? The way I see it, vegan-friendly places fall into one of two categories. First, there are the places where the local vegan movement is very strong. 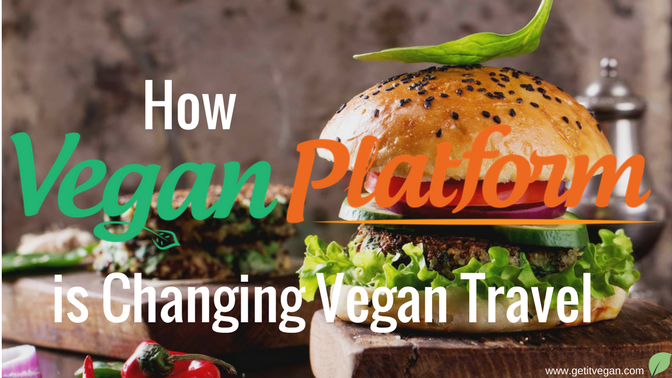 In these destinations, you will find lots of vegan restaurants and also lots of mainstream restaurants that have made a deliberate effort to add vegan choices to their menus and mark them as such. Berlin is a stand-out example of this first type of vegan-friendly destination. The second type consists of destinations where the local cuisine already includes lots of naturally vegan dishes. These places can be extremely vegan-friendly, but if you haven’t done a bit of research beforehand you might not realize it. Greece is a prime example of this second type. 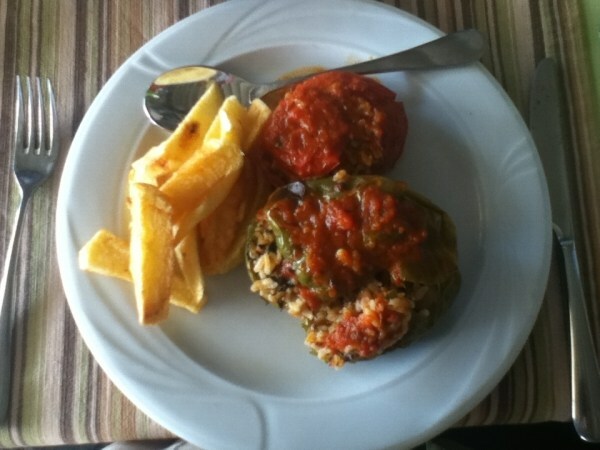 Walk into any restaurant in Greece, and you are virtually guaranteed to find a variety of vegan options. The only catch is, they probably won’t be marked as vegan on the menu. And in fact, there’s a good chance that the waiter won’t even understand the word “vegan”. This is why it really pays to learn a bit about the local cuisine before your trip. The world is full of hidden vegan treasures just waiting to be discovered! Q: Are there places that hold the misconception of being hard for vegans to visit, but in fact are quite the opposite? Yes, for sure, and these would all fall into the second category of vegan-friendly destinations that I mentioned earlier. 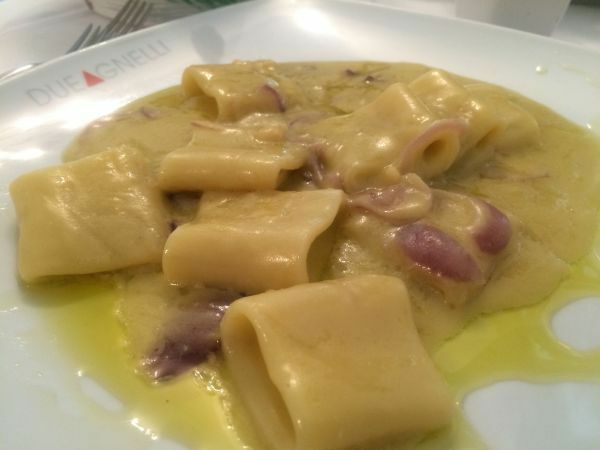 In addition to Greece, another country with a misunderstood cuisine is Italy. When you hear the words “Italian food”, what dishes come to mind? For most people living outside Italy, it’s pizza smothered in cheese, or perhaps a meaty pasta dish, like lasagna or spaghetti with a meat sauce (either spaghetti and meatballs if you’re from the US, or spaghetti bolognaise if you’re from the UK, Australia or New Zealand). While this might be what’s on offer at your local Pizza Hut, authentic Italian cuisine is very different from the exported version you’re familiar with. The truth is, one of the most popular types of pizza in Italy has no cheese at all! And just try asking for spaghetti and meatballs or spaghetti bolognaise next time you’re in Bologna. You’ll be met with some confused looks, because these dishes don’t exist there! Italian cuisine varies dramatically from region to region, but most regions could definitely be described as vegan-friendly. The south in particular is a veggie-lover’s paradise. My upcoming book, Italy for Veggie Lovers, will describe the vegan dishes from each region in detail and thoroughly explore Italian food culture through a vegan lens. Q: Are there cities, regions or countries that are particularly difficult to visit if you’re vegan. If so, for what reasons? There are some countries where veganism is not widely understood, and there are also some countries where the local cuisine relies heavily on animal-products. Countries that fall into both these camps, such as France, Switzerland or Russia, pose the greatest challenges for vegan travelers. That being said, I still wouldn’t describe these destinations as being particularly difficult to visit. If you go into the experience with a positive attitude and reasonable expectations, you will do just fine as a vegan in any of these places. While you probably won’t find a huge variety of vegan options, you definitely won’t go hungry. Q: What’s your favourite vegan food? And is it, or a variety of it, available in many places you’ve visited? My favourite food is oatmeal. I try to eat it every day if at all possible! And yes, one of the great things about oats is that they are a cheap, staple food and are widely available in many places around the world. What’s more, they are very easy to prepare, even if you don’t have access to a kitchen or any cooking appliances. When I’m at home I usually cook my oats on the stove, but when I’m on the road I like to prepare overnight oats. It’s so easy! Just soak the oats in liquid (plant-based milk, fruit juice, or even just water) for a few hours, add some fresh or dried fruit or any other toppings you like, and you’ll have a satisfying breakfast waiting for you when you wake up in the morning. Q: What are some standout memories you have from traveling? Oh, there are so many! 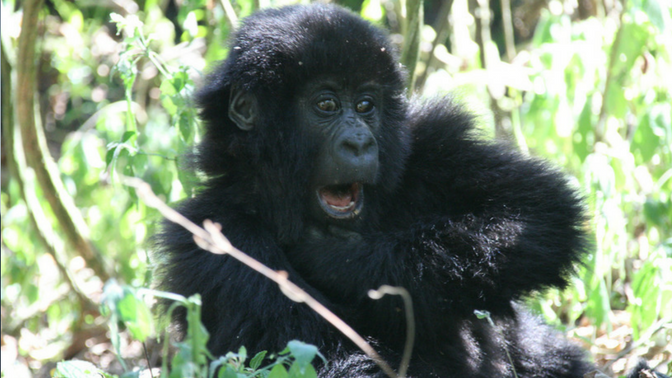 Some of the top highlights for me have been encounters with nature and with animals. 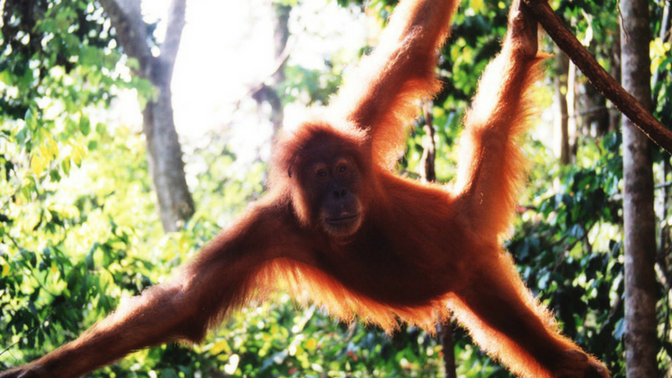 I’ve gotten up close and personal with gorillas in the Democratic Republic of the Congo and orangutans in Indonesia and Malaysia. Those are encounters that I’ll never forget. 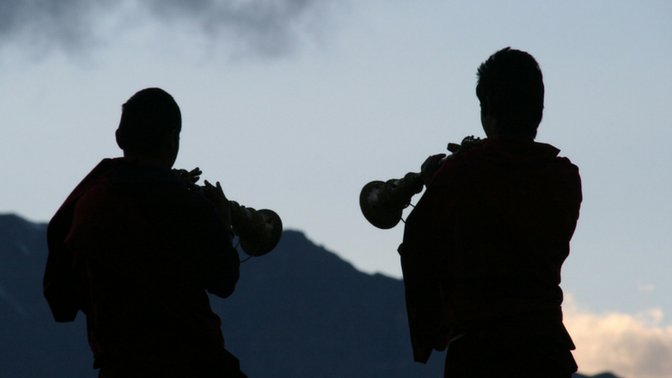 In Nepal, my husband Nick and I hiked for 24 straight days in the Himalayas, combining two different treks known as the Annapurna circuit and the Annapurna sanctuary. The power and majesty of huge mountains like those found in the Himalayas and the Alps never fail to leave me in awe. 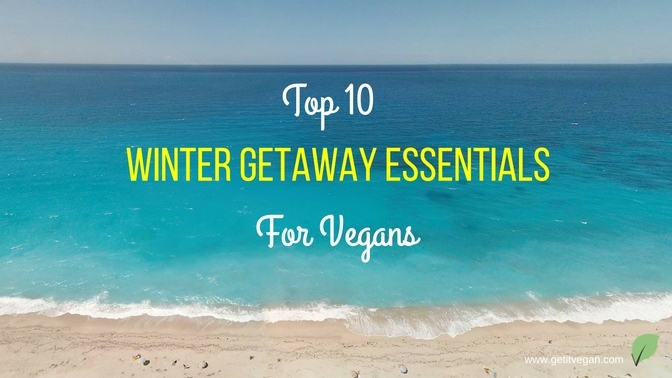 Q: Do you have any “go-to” tips for aspiring vegan travellers? 1. Develop a positive mindset. So much of your success as a vegan traveler will depend on your attitude. If you look for abundance, that’s what you’ll find. On the other hand, if you expect to find scarcity and difficulty, then that’s what you’ll experience. 2. Don’t be afraid to ask for what you want! It’s a natural human instinct to want to blend in with the crowd and do what everyone else is doing. All too often, people settle for eating something they didn’t really want to eat, because they were too embarrassed to ask the waiter if there might be something else available. If you don’t see anything vegan on the menu, don’t worry. You are NOT limited to what’s on the menu! If you politely explain your needs, 9 times out of 10 the restaurant staff will be happy to prepare something special for you. For more tips on making vegan travel fun and easy, you can download a free copy of my ebook, 9 Steps for Easy Vegan Travel. Q: Are you open to guest contributions from other travelling vegans? If so, how would someone go about getting in touch with you to start that process? Absolutely! I want The Nomadic Vegan to be a one-stop shop covering as many destinations as possible, and obviously I can’t be everywhere at once. If you’d like to share your travel experiences in a particular city or country, or even your tips on eating out in your own hometown, get in touch with me through the contact form on the Nomadic Vegan website or by sending an email to wendy@thenomadicvegan.com. I’d love to hear from you! 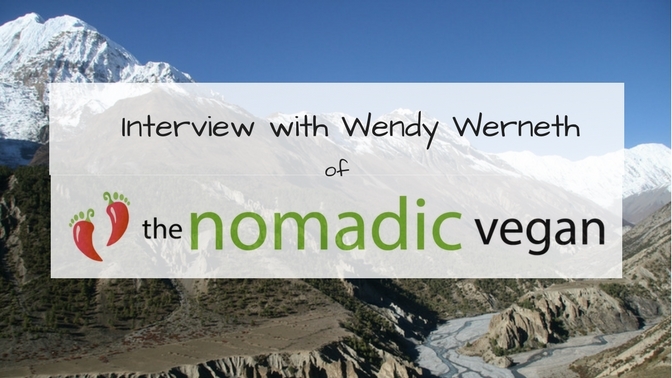 Wendy Werneth is a nomadic traveller and vegan foodie who seeks out vegan treasures in the most unlikely places. She's on a mission to show you how you can be vegan anywhere and spread compassion everywhere. 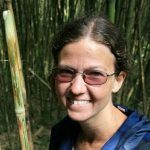 You can follow her adventures at The Nomadic Vegan and download her free ebook, “9 Steps for Easy Vegan Travel”.